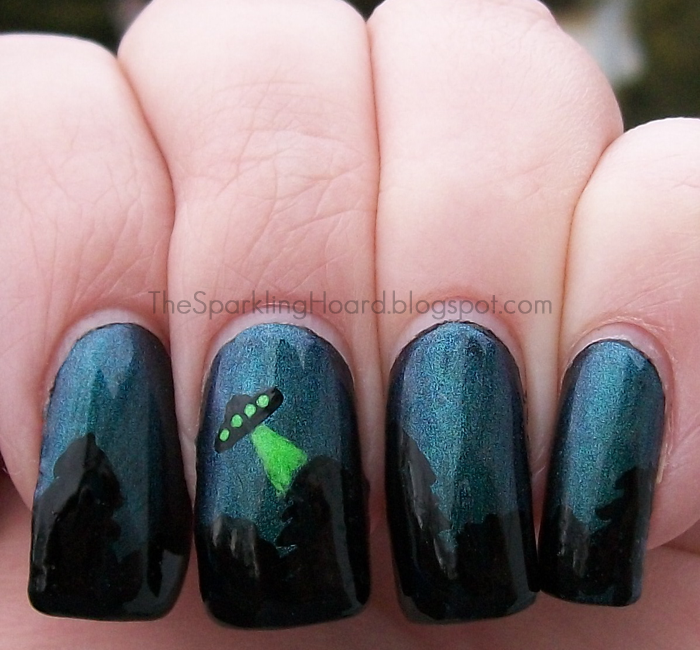 The Sparkling Hoard: Nail Art: A UFO Flies Above the Trees! 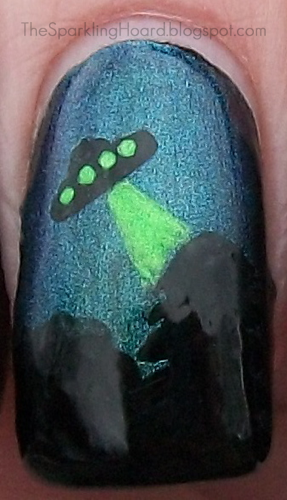 I finally got some new batteries into my camera and got some decent photos of this mani! Unfortunately, it was still pretty cloudy out, so the lighting wasn't the best, but oh well. 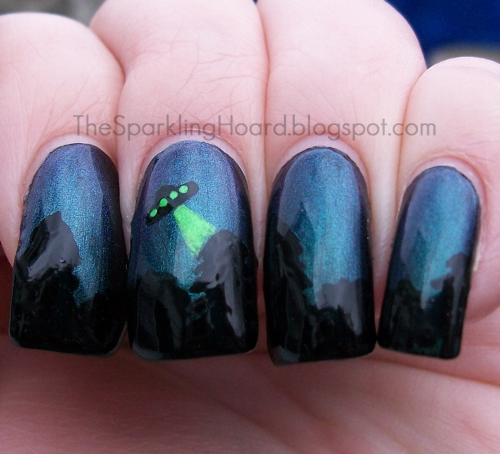 I think I may try this again in the future, but with a city skyline instead of the trees. Someday, Andrea, someday lol. Thanks! Fun mani! 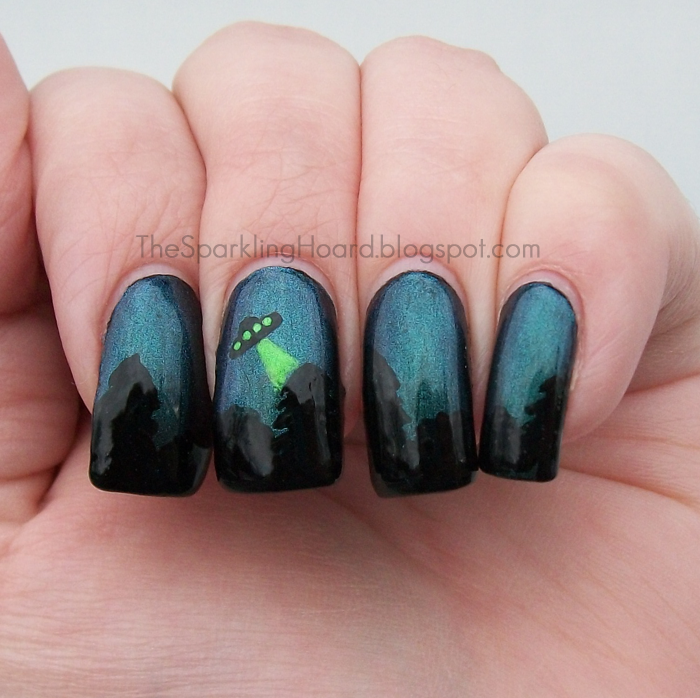 Made me think of X-Files...and I'm showing my age now aren't I?